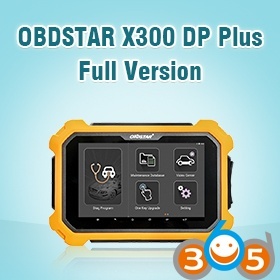 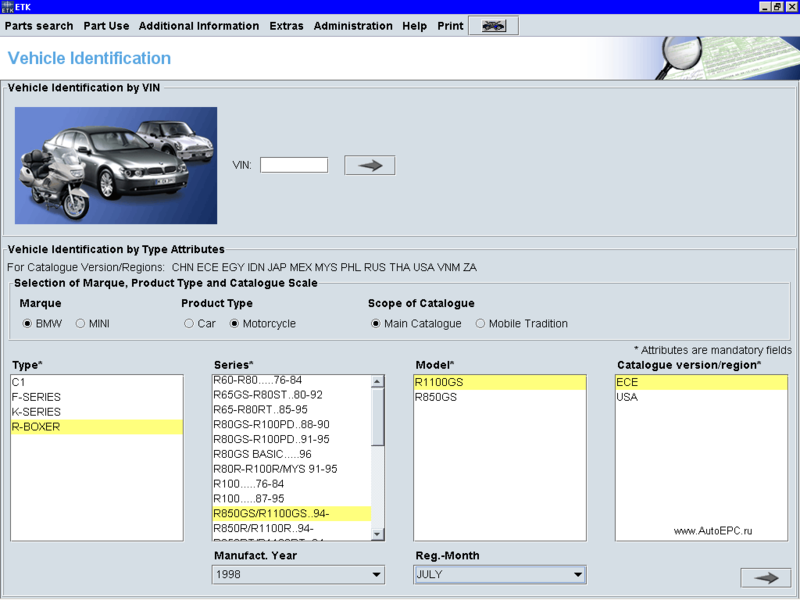 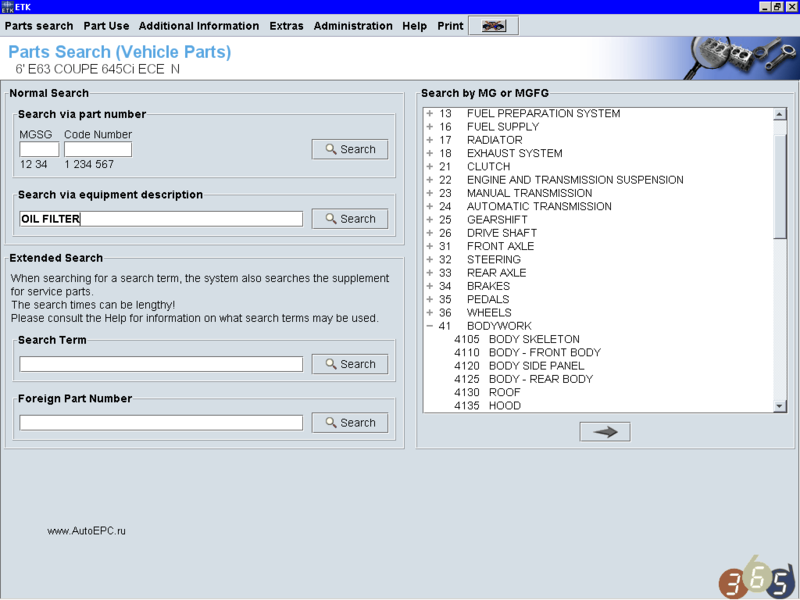 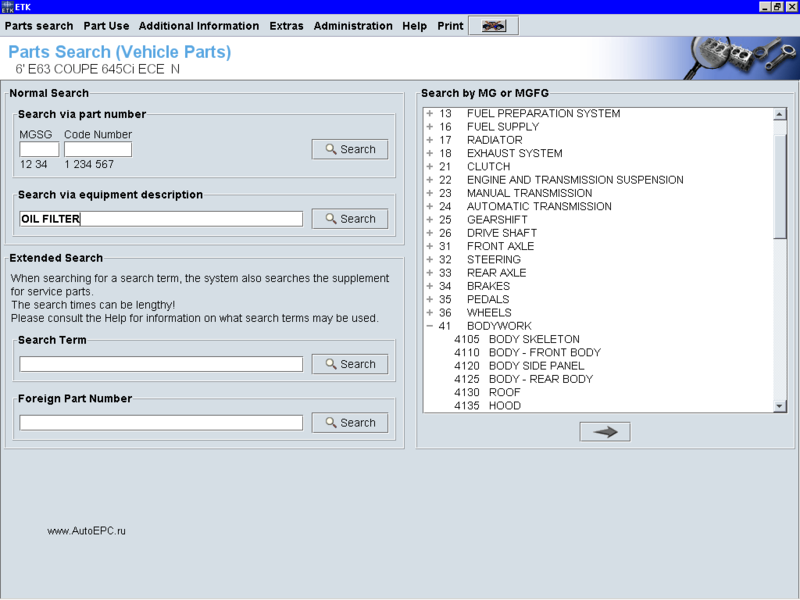 2016.05 BMW electronic parts catalog ETK3.1.30 is released first at obdii365.com. 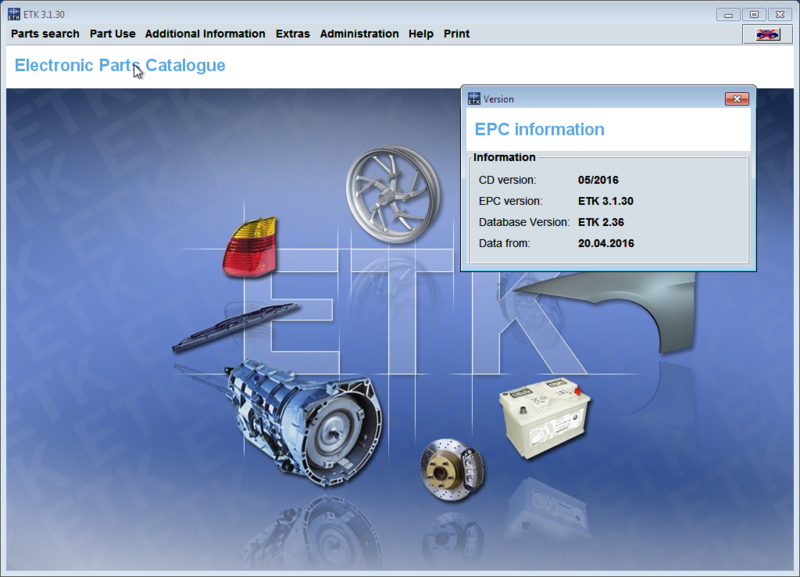 Download ETK 3.1.30 here to get full information about spare parts and accessories for cars and motorcycles and find parts more quickly, easily and safely. 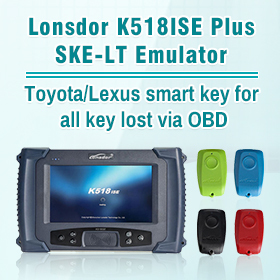 Insert the ETK disk into your CDROM Drive. 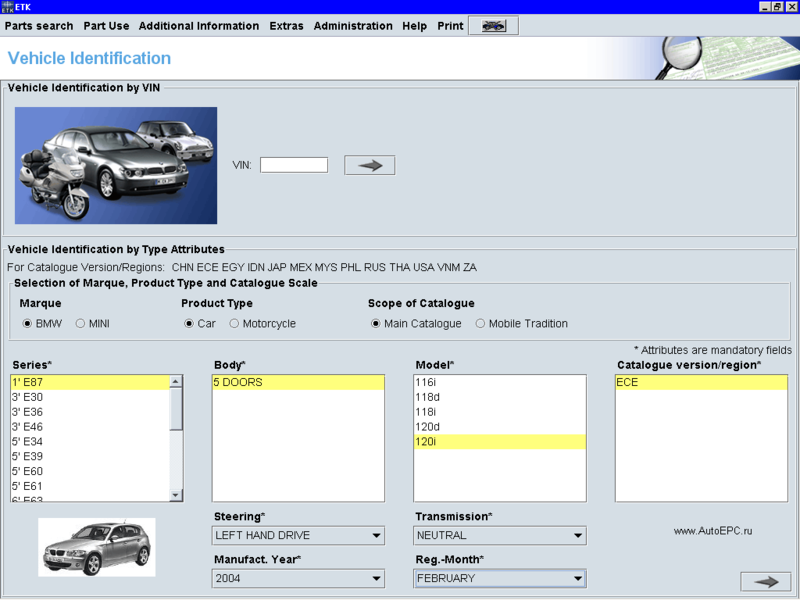 Depending on the setup of your computer you may get an AutoPlay Window Popup. 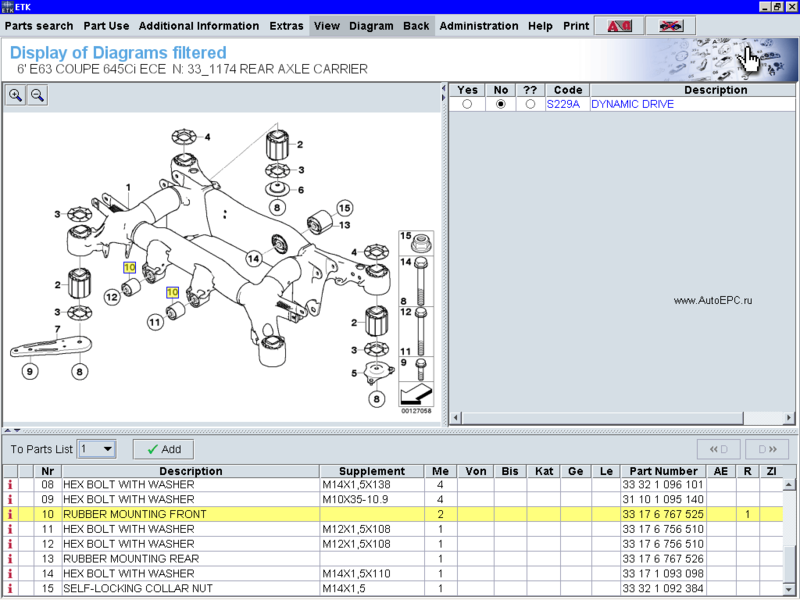 If this happens, cancel the AutoPlay. 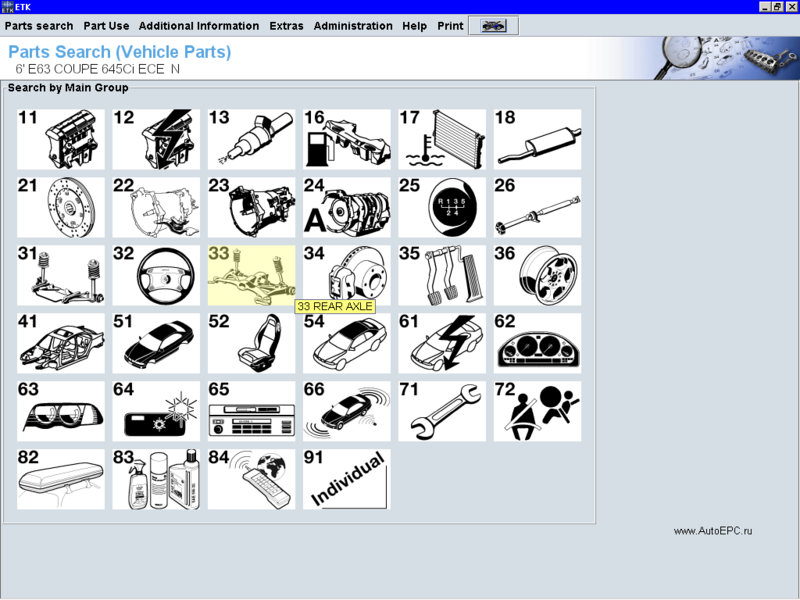 This installation will place an icon called SYSADM with the BMW logo on your desktop. 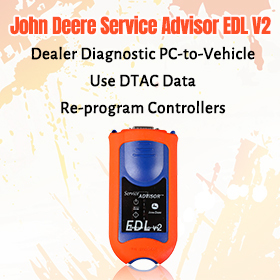 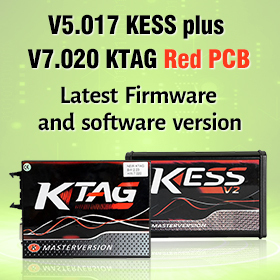 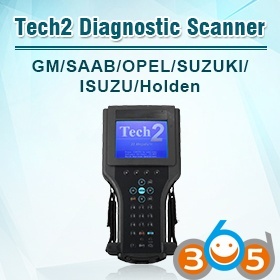 SYSADM is the installation utility for any of the vehicle diagnostic and parts software including TIS, ETK, HTK, etc. 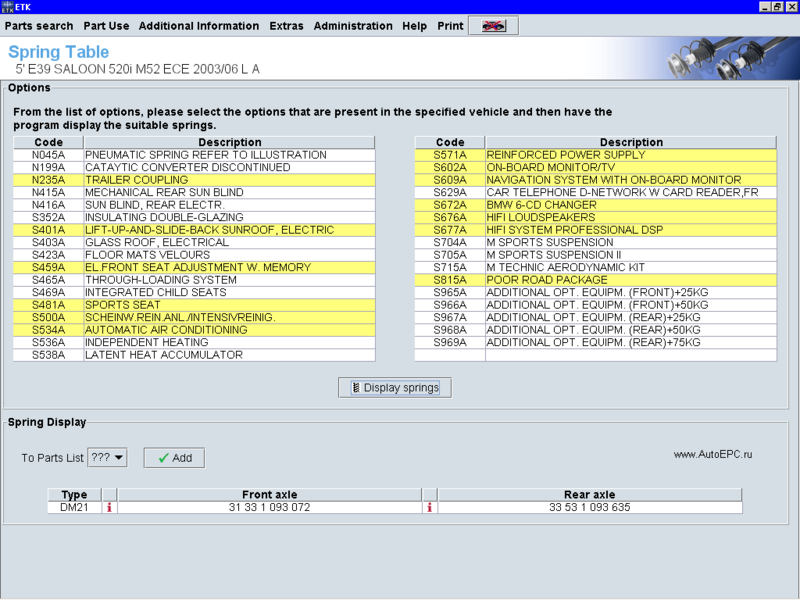 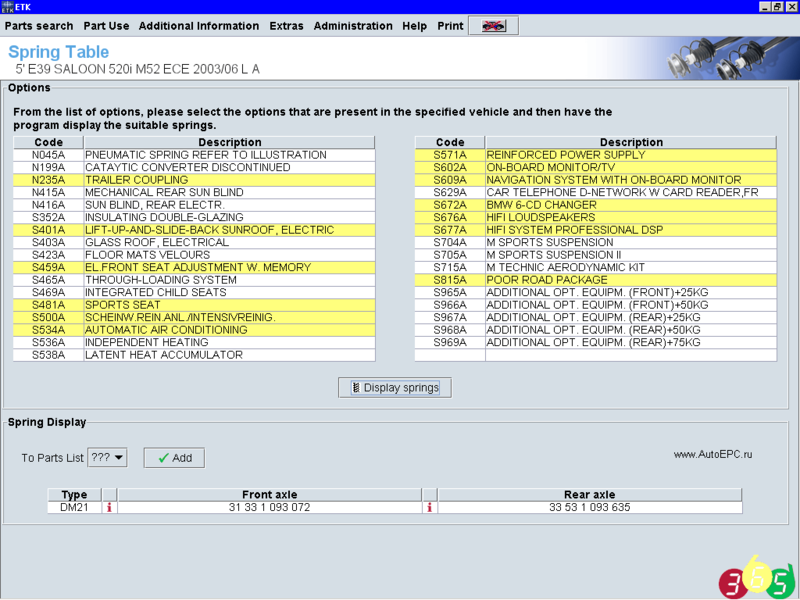 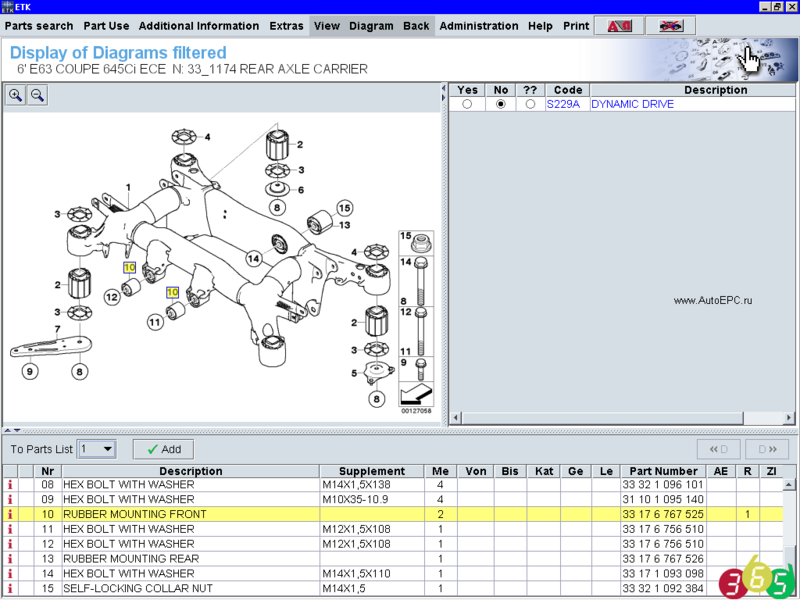 The parts catalog BMW ETK occupies one DVD, support only full installation on HDD and require 1.2Gb of free space. For interface available too many languages. 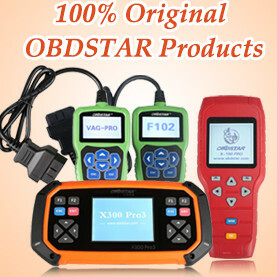 Stariting from version 01.2008 the catalog spare parts include catalog of accessories.